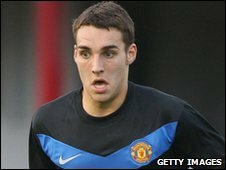 Manchester United midfielder Matthew James has returned to Preston on a season-long loan deal. The 18-year-old featured 18 times for North End last season, scoring twice, including one on his debut against Sheffield United. James said: "My personal aim is to carry on what I'm doing in the game, like trying to score more goals. "I have set myself the target of scoring more goals and every single game I want to give 100% work ethic."